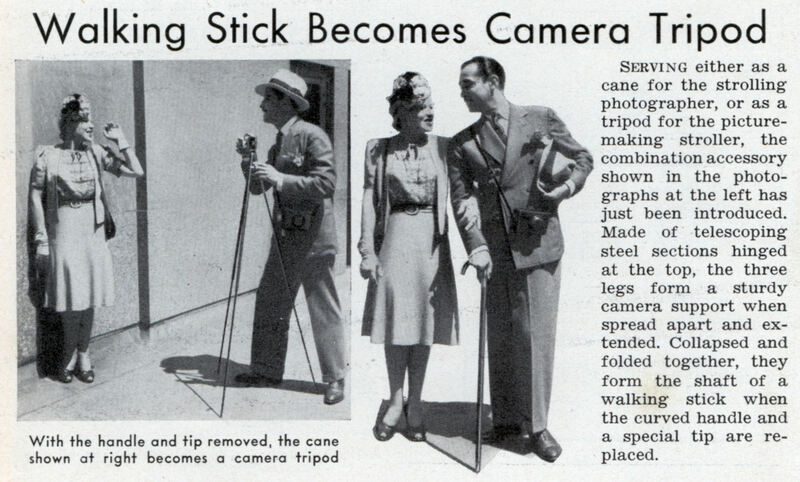 Serving either as a cane for the strolling photographer, or as a tripod for the picture-making stroller, the combination accessory shown in the photographs at the left has just been introduced. Made of telescoping steel sections hinged at the top, the three legs form a sturdy camera support when spread apart and extended. Collapsed and folded together, they form the shaft of a walking stick when the curved handle and a special tip are replaced. 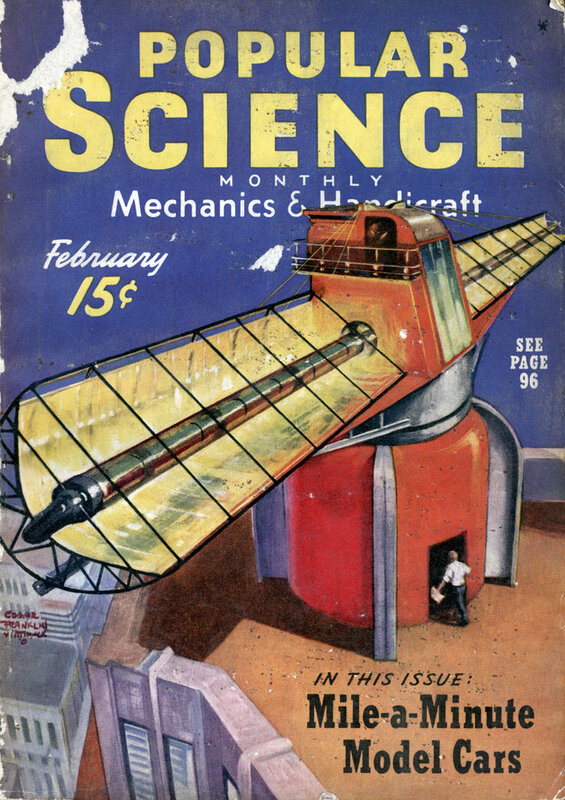 Another good idea from the past from Modern Mechanix, a walking stick that turns into a camera tripod (1940).